It’s been over a year since we set out to facilitate the global adoption of the blockchain. Having a vision of a decentralized world in mind, we founded Essentia, gathered a community of like-minded enthusiasts, and are now developing products that will bring the Web 3.0 a few steps closer to realization. With so many dApps being introduced every day, simplicity and interoperability are missing for people to painlessly dive into the decentralized experience. If you are new to space, it’s extremely difficult to wrap your head around how it all works. Essentia is developing a list of applications, an ecosystem, that is simple to use, extremely efficient, and combines many different elements that allow users to effectively manage their digital life. Essentia Web. This was the starting point for the project. We developed a web application with a number of basic features. This allowed us to show our community what we were planning for the future, the direction we were heading and that we were willing to work hard to achieve our goals. Essentia Mobile. An all-in-one crypto manager at hand. The application lets you send/receive/exchange currency using a Superwallet, track your assets (with notifications), invest, trade and much more. Essentia Desktop (test for devs). Released a few months ago, it’s a completely functional test program oriented to developers. We realize that to ensure complete interoperability and efficiency, we need to take into consideration the various needs and habits of our end-users. 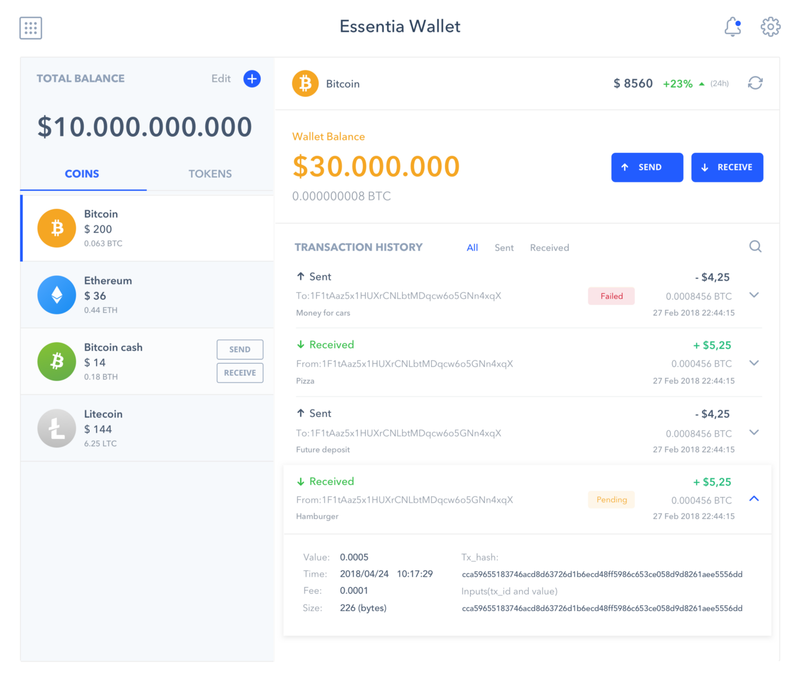 We are excited to present Essentia Desktop v 0.0.1! We have taken into account all the suggestions and comments from our community and have developed a program which will allow you to control your tradings and investments effortlessly with just one click — from your PC. Manage your assets via our Superwallet — with 700+ coins and tokens available! 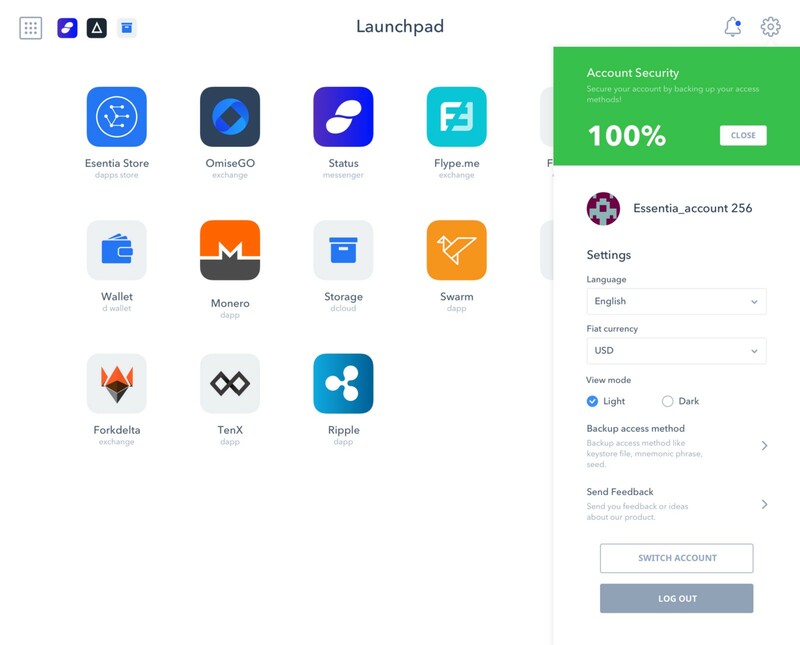 Secure your account by backing it up! Create multiple profiles and switch between them effortlessly! Vote for dApps you want to be integrated into the application! Synchronize your Essentia account across devices! Try it out and let us know what you think — we appreciate your feedback! Let’s make the decentralized world a reality!